There are fewer things in life that bring more joy to the table than the bread basket. Well…beyond fitting into that new swim suit! 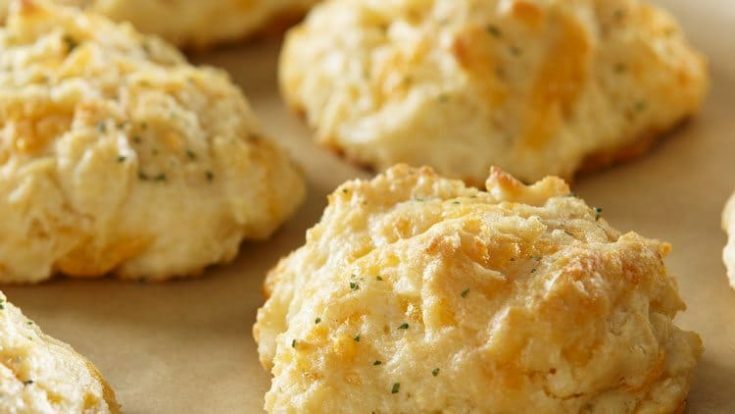 Now you can have it all with this great drop cheese biscuit recipe! And nothing would get you started better, than a great Cast Iron Drop Biscuit Pan. Pre-seasoned and ready to use, this is a wonderful way of measuring out these biscuits for a uniform serving. 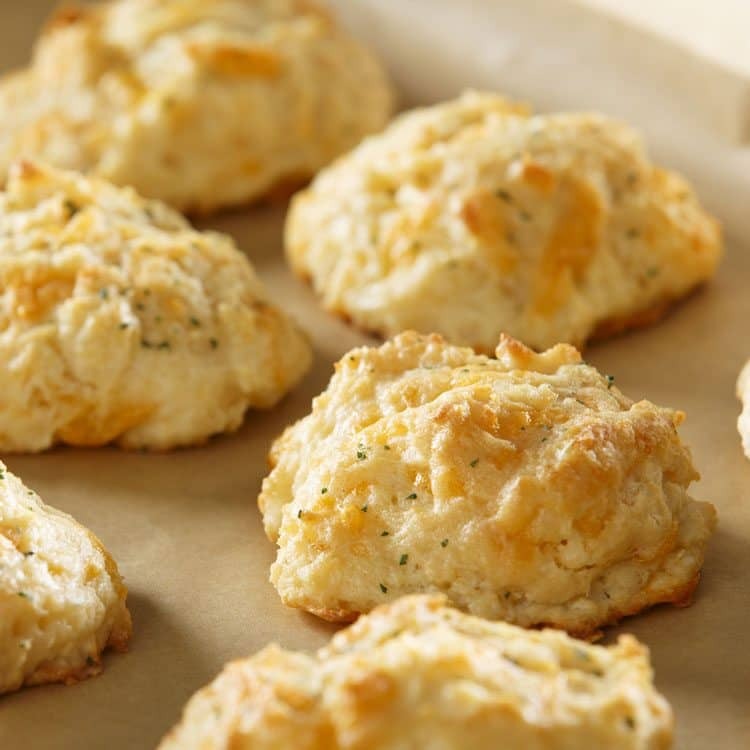 Another reason I love to whip up great drop biscuit recipes? When comfort food calls! Anything can be on the menu, but some meals just beg for a tasty bread option. And for us, Bisquick Reduced Fat – 40 oz is the perfect staple for our pantry. Just add milk and cheddar cheese and your ready to bake these beauties! Really…that is just as simple as it gets. Meaning that this easy recipe will keep this warm addition to your table lower in calories and points! If you’re like so many of us, you’ve watched your weight go up and down and back again over the years. It can be a real struggle to keep weight off, or to lose it is the first place, but by watching your calories, and counting points, you can start to make a real impact that will (at least slowly) start to show results. Ready To Smile This Summer? And shouldn’t life (and your meals) be served up with a heaping helping of simple? Seriously…just 3 ingredients and you’ll brush on the buttery parsley infused garlic topping for these cheese biscuits crowning achievement. Your taste buds will also agree that these biscuits would be great with this Crockpot Ham and White Bean recipe. Not to mention how well this garlic and cheese infused bread would pair with a Slow Cooker Pot Roast! So if you’re ready to indulge in all things sunny this summer. Know you can start right now for that happy belly and healthy frame of mind. And foster up some great menu’s this winter for satisfied smiles. And don’t forget to pass the bread platter! 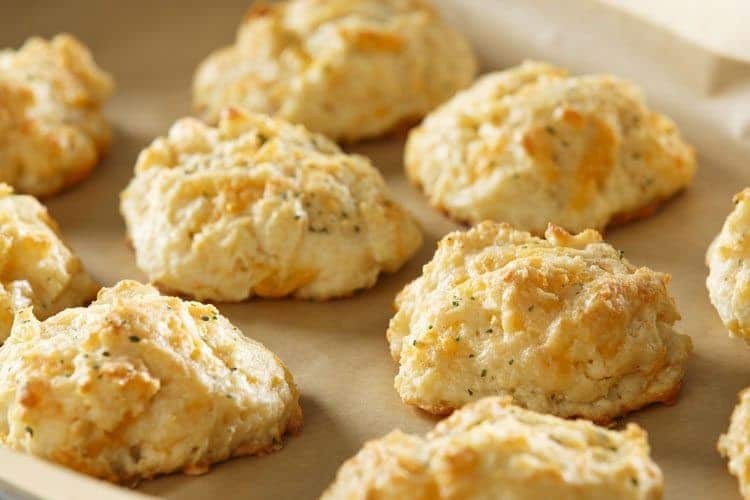 Cheese Biscuits Weight Watchers Recipes to help you stay on track with your diet plan, New Year's resolutions, and weight loss goals. Mix the biscuit ingredients together. On a pan sprayed with cooking spray, make 12 drop biscuits. Or spray 12 muffin tins with cooking spray and divide the dough between them. Bake at 400 degrees or 16-20 minutes. Melt topping ingredients in the microwave. Brush on biscuits as soon as they come from the oven. « Hearty Greek Salad – What is in a Greek Salad? Krystle, I calculated these on the app and they’re 3 SP each. I am not sure how you get 2 points per biscuit. No matter how I put it in I get 3 P.P points. Please explain?